Hair loss is a widely prevalent issue that affects both men and women. Approximately 56 million people in U.S are suffering from hair loss. Usually, hair loss of 100 strands a day is considered normal but if it is more than that is treated as severe. Hair loss can be caused due to scalp infections, physical and mental stress, hormonal changes or poor nutrition. Thankfully, there are a number of natural ingredients such as aloe vera that can be used to address the problem of hair loss successfully. Is Aloe Vera Good for Hair Loss? Proteolytic enzymes present in aloe vera repairs the dead skin cells on the scalp and promotes hair growth. Aloe vera has chemical composition similar to that of keratin, the primary protein of hair that helps to nourish and rejuvenate the hair. It is an excellent natural hair conditioner that helps to keep the scalp and hair strands well moisturized. The antibacterial properties of aloe vera prevent dandruff and fungal infections. It reduces excess oil from the scalp and clears the blocked pores that impede hair growth. The natural enzymes in aloe vera rejuvenate the hair follicles and reduce hair thinning. It also promotes hair growth by locking in moisture and nutrients in the hair follicles. Aloe Vera gel helps to restore the pH balance of the scalp and gives it a healthy sheen to the hair. 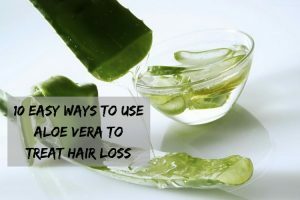 How to Use Aloe Vera for Hair Loss? We have presented various ways of using aloe vera for treating hair loss. You can choose any one best for you and try it regularly. Pure aloe vera gel extracted from the leaf of aloe plant can be used as a natural treatment for hair loss. Cut off a leaf from the aloe vera plant. Scrape out the gel-like substance from inside the leaf using a spoon. Apply this gel directly to your scalp. Reapply the remedy 2 to 3 times a week for best results. Triphala is a useful Ayurvedic herb that is loaded with vitamin C and antioxidants which strengthens the hair from the roots, eliminates dandruff and prevents hair fall. The anti-fungal properties of triphala prevent itching and fungal infections. Take 1 tablespoon of Triphala powder and add 2 cups of water to it. Boil this mixture on medium heat till it reduces to half. Let it cool down and then add 2 tablespoons of aloe vera gel to it. Apply this pack on your scalp and leave it on for 1 hour and then wash it off with a mild shampoo. The strong antioxidant, germicidal and fungicidal properties of honey helps to cure microbial activity at the hair roots which is one of the main causes of hair loss. Take 2 tablespoons each of pure aloe vera gel and raw honey in a bowl. Mix the ingredients using a spoon and apply this hair pack evenly to the scalp. Reapply this remedy 2 to 3 times a week for best results. Coconut oil is rich in antioxidants and it possesses powerful antiviral, antifungal and antibacterial properties that fights fungal infection, improves scalp health and supports hair growth. Take 2 to 3 tablespoons of coconut oil and add 2 tablespoons of aloe vera gel to it. Mix it using a spoon and use this mixture to massage your scalp for 10 minutes. Wrap your hair using a towel and wait for 1 hour. Repeat this process 2 to 3 times a week. Jojoba oil is very much similar to human skin oil which helps to balance sebum production in the scalp while the important vitamins and minerals present in the oil promotes hair growth. Jojoba oil helps to moisturize the hair follicles and make the hair strands stronger and healthier. Mix 2 tablespoons each of jojoba oil and aloe vera gel in a bowl. Apply it evenly all over the scalp and hair. Dip a towel in warm water, wring out the excess and wrap it around your hair. Wait for 30 to 45 minutes and wash your hair with a mild shampoo. Olive oil is a rich source of vitamins A and E which help to strengthen the hair strands and stimulate the hair follicles. Massaging the scalp with olive oil also promotes blood supply to the scalp and ensures healthy hair growth. Take 2 tablespoons of aloe vera gel and 3 tablespoons of olive oil in a bowl and mix it using a spoon. Use this mixture to massage your scalp for 10 minutes. Leave it on for another 30 minutes and then wash your scalp with a mild shampoo. Follow this process twice every week. The high concentration of sulfur in onions promotes collagen production and helps to control hair fall. It also promotes hair growth by clearing out the clogged hair follicles. Grate a medium sized onion and squeeze out its juice. Add a tablespoon of aloe vera gel to the onion juice and mix it thoroughly. Apply this mixture on your scalp and leave it on for 15 to 20 minutes. Wash your scalp with a mild shampoo. Amla or Indian Gooseberry is packed with vitamin C, tannins and antioxidants that improves hair texture and prevents hair loss. The anti-inflammatory, antibacterial and antioxidant properties of amla help to maintain overall scalp health. Take 1 tablespoon each of crushed amla pulp and aloe vera gel in a bowl. Mix it using a spoon and apply this paste to your scalp and cover with a shower cap. Wait for 30 to 40 minutes and then rinse your scalp with water. Follow this remedy 3 to 4 times every week. Eggs are a rich source of sulphur, phosphorus, selenium, iodine, zinc and protein – all of these nutrients promote healthy hair growth and prevents hair loss. Separate egg white from 2 eggs and add a tablespoon of aloe vera gel to it. Beat the egg whites till it develops a thick consistency. Apply this mask to the entire scalp and hair. Leave it on for 20 to 30 minutes and then wash off with a mild shampoo. Fenugreek seeds contain hormone antecedents that promote hair growth and help to rebuild the hair follicles that help to stop hair loss. Grind the seeds to prepare a paste and add 2 tablespoons of aloe vera gel to it. Mix thoroughly and apply this paste to your hair and scalp. Cover your head using a shower cap and leave it on for 1 hour. Rinse your hair with water followed by a mild shampoo. Follow this process 3 to 4 times a week. Topical application of aloe vera gel is considered safe but in rare cases it can cause skin irritation. If you are using pure aloe vera gel for hair fall then strain the gel before applying it to your scalp to get rid of all the white sediments. Try to use fresh aloe vera gel each time. Massage your scalp with coconut or olive oil 2 to 3 times a week. Stress is one of the major causes of hair loss. Try to reduce stress by practicing meditation and yoga. Limit the use of hair driers, straightners, etc. Have a healthy and balanced diet that includes fruits, vegetables, proteins and healthy fats. Include vitamin C, iron and biotin-rich foods in your diet. Say good bye to hair loss and promote hair growth naturally with home remedies. Don’t forget to share your hair loss home remedies and tips with us in the comments section below. Yes, aloe vera contains antibacterial properties which treat and prevent scalp infections. It reduces excess oil production and clears blocked pores. It promotes new hair growth and nourish the hair. Avoid frying aloe vera gel as it can destroy the nutrients and beneficial properties in it. It is good to use it fresh. Hi, thanks for wonderful natural remedies. Can I use store bought aloe vera gel instead of fresh gel ?? Yes, you can use store-bought aloe vera gel as well. However, fresh aloe vera gel provides more effective results. It is difficult to tell the exact time frame as everyone is different. It usually takes 2 – 3 months to observe the improvement if the treatment is followed regularly as specified. Apart from that, you have to eat nutritional foods, drink plenty of water, reduce stress levels and exercise daily. Avoid sugar, caffeinated drinks, carbonated drinks, gluten and junk foods. I have a lot of hair fall. If i use patanjli aloe vera gel mixed with coconut or olive oil. Will it give good results? are there any side effects of using this? Yes, you can. If used regularly then you can achieve the results. As the ingredients are natural, so you may not get any side effects. However, patch testing the mixture before trying out the remedy. Is this useful in genetic hairloss?? Though aloe vera may not completely prevent genetic hair loss, it will surely control the hair loss. The natural enzymes in aloe vera rejuvenate the hair follicles and reduce hair thinning. It also promotes hair growth by locking in moisture and nutrients in the hair follicles. So, try the method mentioned in the above article regularly for effective results. Applying aloe vera everyday is good? I have very soft hairs. What combination of aloe vera treatment will be more useful? I have alopecia. 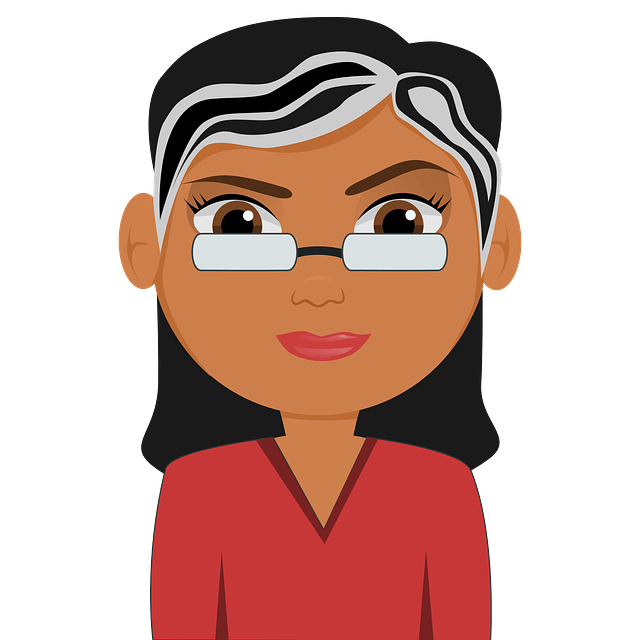 which of these remedies is the best to use to treat my alopecia? I really want my hair to grow back. some of these ideas state to leave on hair for an hour and then rinse and to do 2-3 times a week. coconut oil, or any of the other ideas, leave the product over night and then wash in the morning? What is the best method to improve my hair fall. I am using a mixture of aloevera gel, castor oil, vitamin e oil and coconut oil will it help in stopping my hair fall and how long it will take 1 month or 2 month ? I am using a proper paste of aloevera gel ,castor oil ,vitamin e and coconut oil will it stop my hair loss and how long it will take 1 month ,2 month or more??? When i use this paste in my hairs lots of hair comes in my hand while massaging my scalp with this paste.